Although not the cheapest (plenty of others nearby on the beach area’s) definitely the best. The equipment on offer for hire elsewhere left a great deal to desire (mostly shoddy equipment). Atlantic star on the other hand has the best hire equipment I have ever used (I have dived in Egypt, Maldives, St Lucia, Mexico to name a few). All the equipment is pristine, and fills you with confidence to begin with. The staff are really friendly and make you feel at home straight away. Dive sites we visited were pretty good, with a good variety of wildlife and enough to keep you interested for sure. Would highly recommend this centre,please pay the « extra » for a proper professional and above all safe and enjoyable dive experience, you won’t regret it. Excelente experiência de mergulho, nunca me diverti muito. A equipe é muito amigável e muito profissional e me fez sentir em casa. Eu recomendo :). Our group did several dives, snorkeled, hired the catamaran used the kayaks and learnt to kite board. The whole group of staff including the owner is so welcoming and professional. The equipment is very new and well maintained. The ribs used to take you out to the dive sites are the best boats around by far, piloted by very capable captains. We spent many days there and really felt part of the team/family. I personally started with a try dive and then took the Padi open diver course. My instructor was fantastic, so professional, calm and super nice! My friends loved learning to kite board and the really informative boat tour was a highlight. I can not recommend Atlantic Star high enough. A visit to Cape Verde isn’t complete without trying one of the amazing experiences they have to offer. There is something for everyone. A few years ago I had a very bad dive experience In Madeira. After this I have only been diving with people I know very well. But the crew at Atlantic Star Nautical Center ready made me realize that there are also very good instructors/dive masters that do everything to make you feel good about diving. And these guys/ladies really did that! I really enjoyed the dive and the knowledge and the professionalism they have .I think I good the premium tour with my own instructor and they took me to a dive site that was exactly what I liked in regards to depth and what I wanted to see. Anna who is a dive master is also marine biologists also this gives the place creed and they do care about the environment. I especially like to thank Marta for giving me a lift after I had a cramp. She pulled me to the tow line and made sure I did not get a cramp any more. The stingrays where huge. Also the shoals of fish very very nice! They have very nice boats and all other equipment is very good! I really recommend them! In my first dive I panicked and I couldn’t do it. But my boyfriend persuaded me to try once more and to dive with him, I confess that at first I was in panic but my instructor was very patient with me and she gaves me a lot of confidence and so I could do the diving, and it was a lot of fun . I loved it and plan to take my course next year … I recommend, I never felt so welcomed. Mi mujer y mi hijo hicieron la clase en la piscina y luego la inmersión en el mar. Mi mullher ya había hecho alguna inmersión a cambio de mi hijo, era la primera vez. El centro es muy reciente y presenta tecnologías de última generación. todo el equipo muy amigable y simpático nos hizo sentir en casa. Très bon moniteur de kite, souriant et patient avec les débutants, très bon matériel, kite beach très bon site pour débutants, un grand merci a Ednir !!! Personnel prévenant et agréable, un tout grand merci à Guido et toute son équipe. Seul endroit sur l’ile où vous pouvez louer un hobbycat. A très bientôt. I don’t normally leave reviews however I needed to on this occasion, I am a experienced scuba diver and was looking for a place in Cape Verde while on my holiday there are so many places you can go however look no further than here. For starters everything is spotless the dive centre the equipment and the boats. The staff are amazing and very helpful and simply can’t do enough for you. They are located right on the beach behind the the new Hilton hotel but they are more than happy to pick you up and drop you back if you don’t fancy the walk from your hotel. Dives are mostly launched from the beach in the RIP if there is not to many waves or again they will drive you to the near by pier. For me the most important thing when I dive is that a dive centre is able to be flexible with the type of people’s diving experience this dive centre does exactly that. I can’t recommend this dive centre enough and when I return to Cape Verde I will definitely be going there for my dives. Atlantic Star is my first and amazing diving experience. Excellent new equipment. Very professional diving instructors. Eh bien, je n’ai jamais plongé avant. Je peux le surmonter. Avec un sentiment un peu mal à l’aise je suis allé à l’Atlantic Star. Ici, j’ai reçu une instruction détaillée et toutes les informations dont vous avez besoin. Tout a été expliqué exactement et a répondu à toutes les questions. Ma nervosité est restée un peu, jusqu’à ce que nous allions dans l’eau. Ici tout a été ensuite passé à nouveau. Et nous sommes allés lentement sous l’eau. D’abord j’ai eu un sentiment très oppressant, mais a ensuite été rassuré par le professeur Maria. Que puis-je dire, une grande chose à seulement 3m de profondeur. Après la pause déjeuner à l’hôtel nous nous sommes revus et il est allé à la mer. Encore une fois tout a été expliqué. Nous étions 3 nouveaux arrivants et 2 enseignants. Puis il est descendu à environ 10m pour une petite épave. Je n’avais jamais vu une telle diversité de poissons auparavant. Je l’ai aimé. Maintenant, je vais encore faire une plongée. MERCI pour la nouvelle expérience. Mi pareja y yo nos hemos sacado el curso openwater con Marta. Era nuestra primera vez haciendo buceo y fue increíble! Marta estuvo en todo momento pendiente de nosotros, ayudándonos y enseñándonos. Nos sentimos siempre seguros y confiados! Bucear en cabo verde es espectacular y Marta nos llevo a sitios magníficos! Cuando terminamos el curso, nos quedaba un día para volver y fuimos en catamarán, nos llevaba un chico muy simpático llamado Gilson. Estuvimos una hora navegando, observando el maravilloso paisaje y disfrutando de una larga charla. El club náutico es un sitio limpio, bonito, con buenas vistas y unos trabajadores que te harán sentir como en casa. Los materiales para bucear son nuevos y están en perfecto estado! Muchas gracias por todo!! Excellent diving experience during our holydays in Sal Island, with excellent diving instructors (Marta and Christina). After a small theoretical session where Marta explain some diving and safe procedures we had a small diving training in the beach, with Marta, where we practice the procedures discussed during the theoretical session. After lunch we did dive at Sant’Antão diving spot (a shipwreck) with Marta and Christina (1 instructor for each 2 divers). This is an excellent place with different fishes. Marta and Christina were great and very professional during all session, making the dive very easy and safe. If diving is one of your activity options for Sal, Atlantic Star Nautical Centre is a very excellent choice. Thank you very much to Marta and Christina. Guido et toute son équipe sont super accueillant. Je vous invite vivement à venir leurs rendre visite et découvrir les merveilles sous marines avec eux. Encore deux plongées magnifiques avec vous. Vivement jeudi pour la suite et malheureusement aussi les deux dernières avant le retour à la maison. We had a blast during my holidays! Staff is great, the club is awesome and has great facilities. The dive spots were amazing! Great Centre, great equipment, great instructors. Very helpful. They even pick you up from hotel. All the latest kitesurfing kit! Guido et toute son équipe sont super accueillant. Je vous invite vivement à venir leur rendre visite et découvrir les merveilles sous marines avec eux. 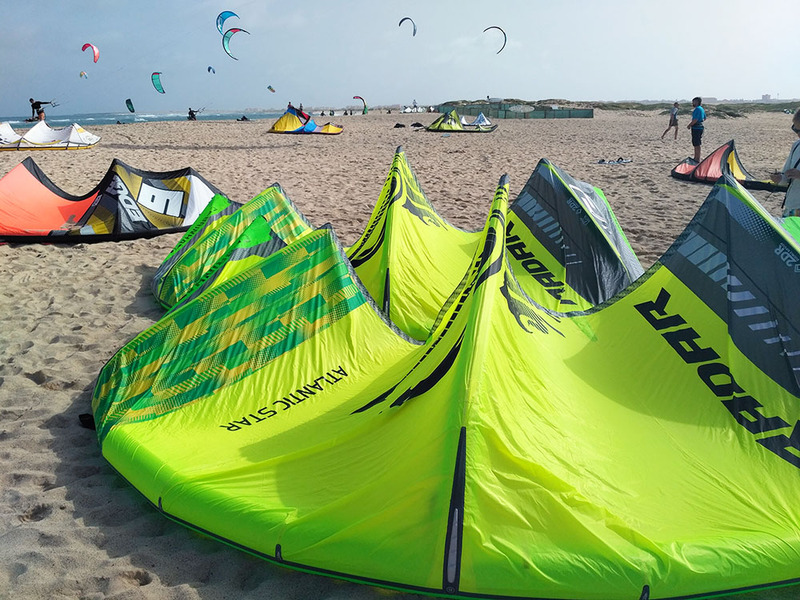 Una inmersión increíble por la mañana y por la tarde un baño de Kite, nos han tratado como si nos conocieran de toda la vida. Gracias por este día tan especial!!! Great Experience: I can highly recommend this place. I did my advanced course there. Marta my instructor was extremely nice and helpful, the equipment brand new and the local staff is super nice. 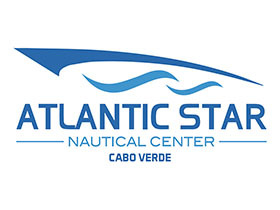 The Atlantic Star Nautical Center is a new diving and kite surfing center close to Santa Maria on Sal. They have brand new equipment and professional and very friendly experienced staff. 🙂 I did some dives with them and and it was a great experience. The whole dive was documented with a GoPro and in the end I even got some pictures as a memory to take home with me. Highly recommended stop on your journey! First thing – dive at the start of your vacation, the combination of spectacular marine life + a brilliant dive team who love what they do leaves you wanting more dives. Dive towards the end of your holiday and make the mistake of running out of time before your flight home. I did – Sant’Antao Shipwreck was so good the first time I wanted to go again. Not the deepest dive, but teeming with life, and the wreck was spectacular. The sea was reclaiming the wreck transforming it into some sort of marine art, so cool. There were other sites like the Foral 3 caves, which gave us a front row view of a Big Nurse Shark chilling under the rocks. Trying to get a better glimpse of him (or maybe her) I laughed and thought he must think « hey dude, you wouldn’t want me shining torches through your windows would ya – I’m trying to sleep here!! » 🙂 The other lasting memory (and for those more adventurous) was a drift dive at Choclassa, here we hugged the rock and sand floor to beat the current to then greet a couple of big lobsters, who met us at the front door of their a small cave, Worth it and an exhilarating experience both on and off the boat :). These dives and experiences are just a taste of what I think you will find in these waters, and if nothing else you will meet a great bunch of people, who I learned a lot from. The whole team were brilliant, but the guys who made these dives possible are Marta, Caterina, Noam (I think that’s right if not sorry you can beat me up next time) and a new French girl (sorry forgot your name, again beat me up next time :)) who made us feel so at ease and part of the team off the bat, they were calm, receptive to our strengths and weaknesses (not asking us to do anything we were not comfortable with) and very helpful at all stages of the dives. Novice or experienced divers you are in safe hands and I would recommend this center to everyone. Sorry cant forget our boat captain (cant remember his name) and Sandrine the receptionist who supported us. I started my diving adventure in this place and im so happy!all tools are new and good quality ,prices are better then most place in Sal and very friendly,experience happy instructors as my teacher Marta then Catarina,Moni !i already been in pool twice finish my theory and once in ocean thanks to passion they show me i learned everything clearly after 3 ocean days more i will ve my certification and gonna party with my lovely teachers!i recommend this high quality place! J’ai passé une superbe semaine de kite, avec l’équipe d’Atlantic Star. Je suis autonome, mais l’équipe était toujours la pour lever les ailes ou poser. Une superbe ambiance, avec une soirée au bord de la plage mémorable. J’ai beaucoup voyagé dans le monde pour faire du kite, mais à Sal l’équipe vaut vraiment le déplacement. Si vous débutez il donne des cours, le matos est neuf. Je retournerais pour l’ambiance. Merci. Espectacular experiencia, habernos sacado el curso de buceo « OPEN WATER DIVER » en Atlantic Star. Nos atendieron muy bien desde que llegamos. El lugar es maravilloso, las instalaciones geniales y los equipos eran nuevos. He quedado encantada con el curso y sobre todo con la instructora Marta que nos cuido cada detalle desde el primer momento con cafés,agua,…siempre mirando por nosotros para que en todo momento estuviéramos cómodos y disfrutando. Muchas gracias a todo el equipo!!! Volveremos pronto!! I cannot praise the Atlantic Star staff and service enough. From my initial email enquiry through to diving with Marta & Christina, and the welcome from Guido. Knowledgeable, helpful, polite and very professional. They made my two days of diving with them, a real pleasure. Cannot wait to go back!!!! An incredible dive in the morning and evening bath Kite, we have been treated as if we knew of a lifetime. Thank you for this special day !!! I found myself very well. I used the property for rent kite and board and are well stocked with everything needed showers, toilets, bar service (I have always offered free water and coffee) also feature comfortable sofas for family and friends, and Wi-Fi is free . Thank you again Mr. Guido for the reception and Ednir for his time and expertise. Spent five days diving and experienced the lovely warm water of the Cabo Verde Islands. The centre itself is quite new and although we had taken all our own gear I’d have been quite happy to have hired equipment as its all new and appears well maintained. Diving is via their own boat and launches from the beach of Santa Maria Pier. Good variety of sea life was seen including Turtles, Scorpion fish, Rays, Sharks. From my experience with them this diving centre has everything to offer for recreational diving, from the complete novice looking to try dive or complete Open Water training, to more experienced advanced divers. Very professional from the start, well organized every member i came across was very pleasant and i received a great and very professional service. the dives were good too and the dive master very professional and ensured all enjoyed…. would certainly recommend and use again if i have the chance. Very friendly and helpful, done 12 dives with the guys and had a great time, turtles, shark, rays etc. well worth it. Staff was very professional and there was a comfortable atmosphere. Really great diving, I will definitly come back. I had 10 hours lessons with Monika and it was all I could wish for, patient, relaxed, skilled instructor and I was standing on a board after 8 hours of lessons. When the wind wasn’t good enough I could enjoy the standup paddle and the kayaks, what was really fun. Highly recommended! We (me two teens) really enjoyed diving at Atlantic Star. For our first dive we ask them for (free) pickup and it was all included. The coach always pick us up on time. It was one of the best diving experiences ever. They are very professional. The whole team has a very good and easy ongoing mood. So much fun! Our holiday had a nice touch of new experiences in Atlantic star. Went first for snorkeling with the sea scooters DPV, our guide Martha was the best, she is a sea lover, we went to visit an old Shipwreck where we even saw one turtle. We try as well the kayak, me and my wife went to the Santa Maria pier, where we were rowing between the fishing boats. Big thank you to the staff, for providing us an exceptional and different day. We reserved our Diving package there is a month ago. We were surprised by the location and the material is quite new, it’s an amazing nautical center in a wonderful beach. There are lots of nice sites for diving that we explored. Every day was a discovery and the staffs are friendly and assist us from day one. A special Thank you to Catharina and Martha. Uau, what a wonderful holidays in Sal Island. If you want a place to take all stress out, Atlantic star is the best one. I had 6 hours kite lessons with one day without wind where we just stayed in the center paddling and playing. The staff is all very friendly and always there to help. I will definitely come back. Cabo Verde no stress. I booked the four-hour package. It was fantastic! If you are looking for a friendly atmosphere and congeniality, you will not be disappointed by the Atlantic Star. Professional instructors take care of you from your first step with the kite. They are enthusiastic about giving you the kite virus! Don’t think twice. You will find the ideal school for your kiteboarding lessons and with very new equipment. 8 hours of first-rate kiteboarding lessons. I spent a fantastic week. Different activities are proposed if there is no wind: jet skiing, SUP, diving, and more. The center offers a wide range of services such as lockers for personal belongings, showers, toilets and rinsing tanks for diving gear. The instructors are pleasant and professional. Recommended! A first-rate organization and staff that was always available and kind. It was my first sea dive and I didn’t realize how beautiful it was! I think I will return to Cape Verde for a full course. Share your Atlantic Star experience with others!